There’s no denying that there’s a lot of mass produced jewellery available in Brisbane. Custom jewellery design has always been a popular choice, though, because nothing can replace a handcrafted and unique piece of jewellery. Custom jewellery design in Brisbane is really taking off. When you want something special, such as an engagement ring, there is no point in buying the exact same ring worn by everyone else. This is one of the problems with mass produced jewellery and it’s why so many people veer towards personalised jewellery design in Brisbane. 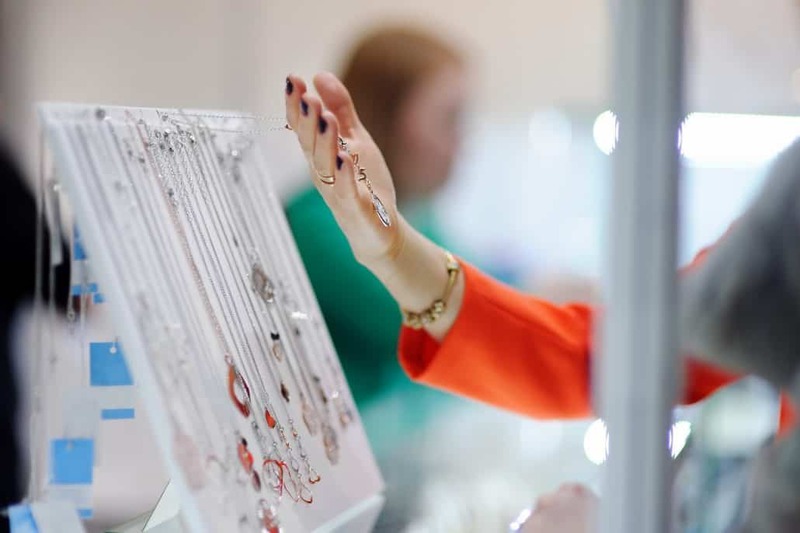 You might be interested to know that trends in jewellery design are not quick to change, however, the popularity of precious metals and gemstones does tend to rise and fall over the years. For example, large hoop earrings used to be very trendy during the 1980’s, mainly mass produced at the time, but are now making a comeback with more customised settings. So let’s take a look at some of the growing jewellery design trends in Brisbane during 2017. Large drop pendant earrings hot fashion tips for this year (many famous female celebrities love this trend! ), and geometric shapes filled with clusters of gemstones are making waves as well. Ear climbers and ear jackets are still looking good for this year and make a spectacular display when made from white gold (infused with rhodium plating for a brilliant white shine) and a cascade of diamonds. Art Deco is also having an influence on earring jewellery with the trending geometric shapes inspiring some sensational and decorative statement pieces. Asymmetry is also becoming popular with designs for the left and right earrings being complementary, but distinctly different. In 2017, Halo settings for engagement rings are hot, but so are coloured diamonds. Just imagine a large centre diamond surrounded by a cluster of coloured diamonds or gemstones, giving you a truly unique engagement ring. Rose gold and vintage inspired custom jewellery is also on the rise, taking inspiration from the Art Deco style as well. Custom jewellery design in 2017 is all about taking more traditional designs and giving them a fresh, new twist. Make an appointment to see us at our studio in the Brisbane Arcade and discover the pleasures of custom jewellery for yourself. How long does rhodium plating last? Is your birthday in June? Find out about your birthstone!